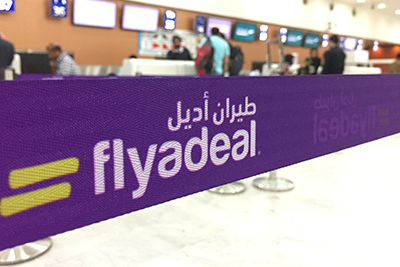 PROLOGIS is honoured to have played its part in the launch of new Saudi low-cost carrier flyadeal. On the 23rd of September, Saudi Arabia National Day, the first flight of flyadeal took off to Riyadh. PROLOGIS was responsible for UAT Manangement and onsite go-live support for new Saudi airline, spanning both the commercial go live and first flight.